Discovery Notes The soil was collected on 8/30/18 from Glenolden park about 3 meters away from Muckinipattis Creek, which runs through the park, at a depth of around 6 centimeters. This soil had a "sandy" and loose consistency.The temperature at the time of collection was 26.1 C.
Naming Notes The name "Solum" was chosen as it means lonely in Latin. 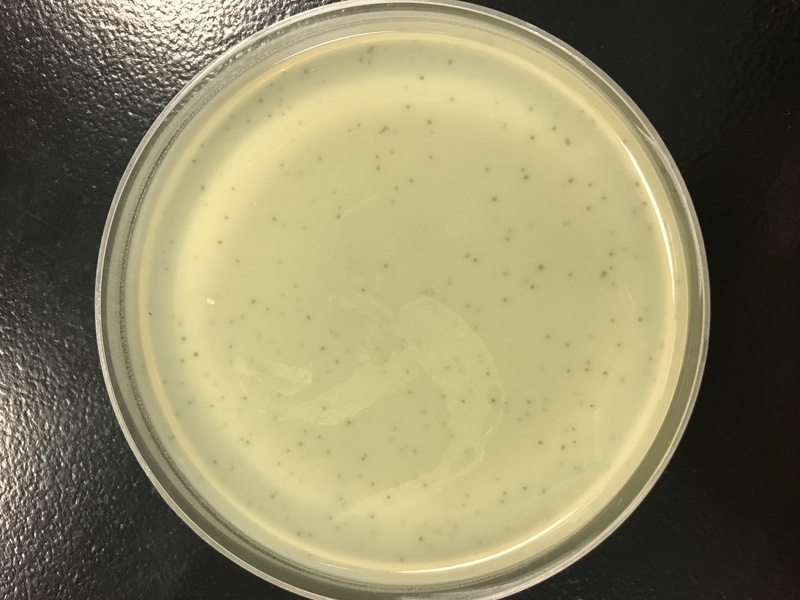 When the phage was plated in low concentrations, little to no plaques formed and it was difficult to transfer between media at low concentrations. Also, the plaques would appear far away from one another on the plates. This phage appers to favor environments that it can remain isolated from other colonies of phage. 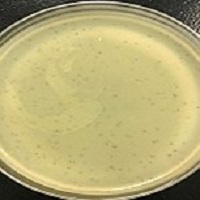 Plaque Notes Plaque morphology: This phage forms plaques that are about .75 mm in diameter and appear cloudy. Plaques also tend to stay away from each other at low concentrations. 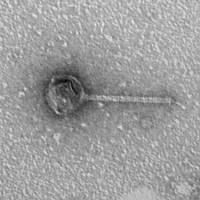 Phage morphology: Head: 73.77 nm, Tail length: 148.36 nm, Tail width: 11.48 nm.